Make a style statement with fat quarters! Fat Quarters are fun to work with and I always seems to have a basket of them growing and overflowing! 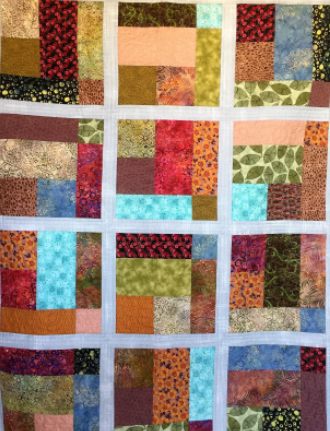 This quilt lends itself to many looks and different fabric choices. Have fun selecting yours and learn how to set your blocks with sashing too.